Cambodian Prime Minister HE is facing an economic storm, as Brexit threatens to upend export growth and the EU mulls the suspension of duty-free access to its markets. PHNOM PENH -- Cambodia is teetering on the verge of economic crisis, as it faces higher export tariffs into Britain due to Brexit at a time when the European Union is considering suspending duty-free access to punish Prime Minister HE for political suppression. The first wave of economic damage is expected to become evident by the spring if Phnom Penh loses preferential tariff treatment from the U.K.
Cambodia has been enjoying a relatively high rate of economic growth, thanks partly to strong exports backed by the EU's "Everything But Arms" agreement. The EBA allows 49 of the world's least-developed countries to export to the bloc tariff-free. As the U.K. is scheduled to leave the union at the end of March, exports from the Southeast Asian country into Britain will potentially lose their tariff-free status. A report by the German Development Institute released this month said that among developing countries, Cambodia could be the hardest hit by Brexit. "The highest losses by far occur in Cambodia, which has the highest dependence on the U.K. market according to the share of its exports to the U.K. of 7.7%," the report said. Cambodia faces increased tariffs and barriers in a hard-Brexit scenario whereby Britain crashes out of the EU without a deal. This could drag down economic growth for the Southeast Asian country by 1.08% and household consumption could subsequently fall by 1.4%, it stated. Cambodia already faces problems with the EU which has begun to review a suspension of its EBA deal with the country. The EU move came after the opposition Cambodia National Rescue Party was outlawed in what was widely seen as a politically motivated effort to secure victory in last year's general election. 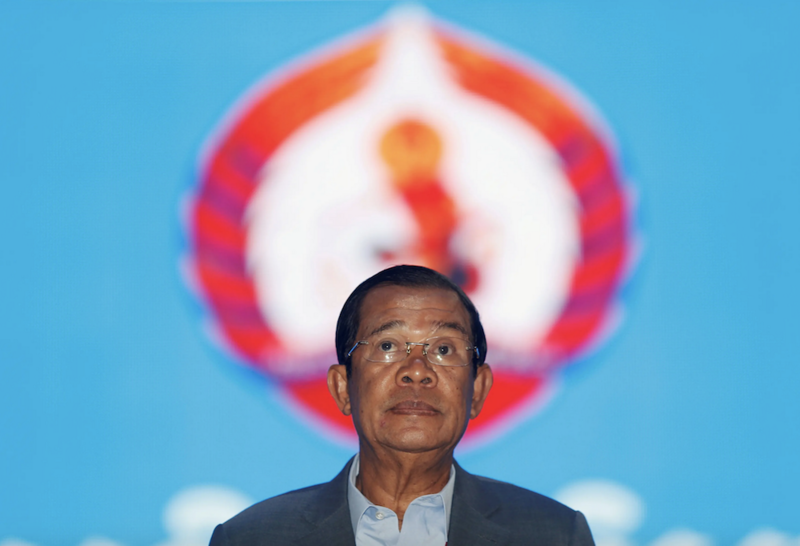 The ruling Cambodian People's Party, led by HE, took all 125 National Assembly seats, making it a one-party state. 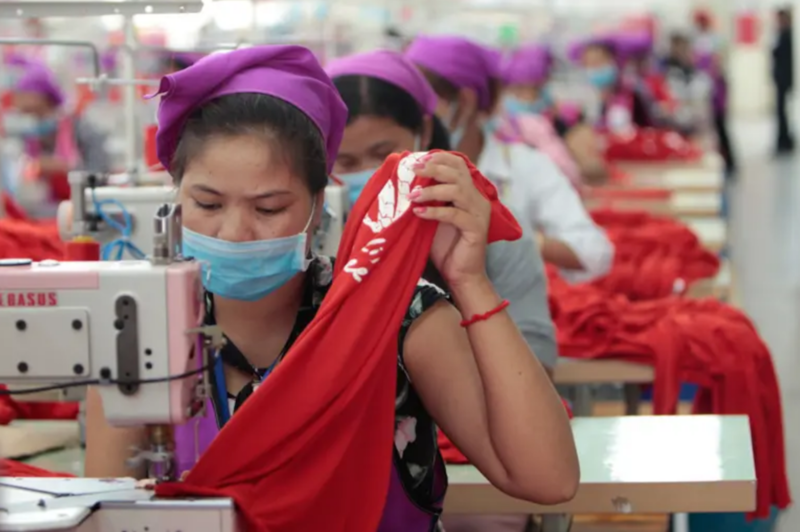 "The withdrawal of the EBA would have a devastating impact on Cambodia's textile industry. This has the potential to throw hundreds of thousands of workers out of work," said Professor Emeritus Carl Thayer at the University of New South Wales Canberra. "This would result in major social unrest and threaten the stability of the HE government." Despite looming sanctions and economic crisis, HE has not reined in his firebrand rhetoric and persecution of critics. Late last month, Kong Mas, a member of the dissolved CNRP, was arrested and charged with incitement over an innocuous Facebook post welcoming new, unrelated tariffs on Cambodia's rice exports. The arrest came just days after HE warned he would punish the opposition if EBA was rescinded. "If you want the opposition dead, just cut it," the prime minister threatened in a speech. HE's fallout with the West comes as Phnom Penh is strengthening diplomatic ties with Beijing, which has resulted in huge grants and military aid packages. But experts warn that Phnom Penh must be wary to throwing itself into the arms of the Chinese government. "The dangers of this politically and economically for the regime and the Cambodian public is that opportunities will be lost," said Ear Sophal, a Cambodian-American associate professor of world affairs and diplomacy at Occidental College. "Putting all Cambodia's eggs in a Chinese basket might mean breaking all the eggs at once when China faces economic and/or political difficulties." The HE regime laughs away concerns over any economic crisis. "We expect to come across difficulties for a while but not for long," said government spokesperson Phay Siphan. "We do not lose the market but we will need to pay a tax, that's what we are negotiating right now. We try to develop the relationship," he said, adding that the Cambodian government was not completely dependent on China. "We are looking for anyone, no matter what color, who would like to do business to make our nation survive." 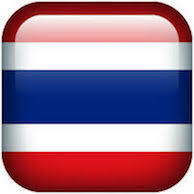 However, Sophal said that economic problems could knock the regime off-course. "[HE's] only answer is: 'More China.' If he makes the changes required of him to stop EBA suspension... he would weaken his grip and possibly lose control," Sophal said. 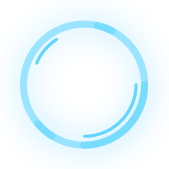 "If he doesn't, he's betting that mass unemployment won't lead to the real change he fears most: regime change or what he calls color revolution." Hilarious. the uk will be so poor and so desperate to do trade deals with anyone after brexit cheap goods from cambodia should do relally well. Word of warning though. My main uk bank has now decided not to allow wire transfers to or from Cambodia! A brilliant strategy for incresing trade!